In HKSAR v Wan Thomas & Ors (HCMA 700/2013), the first defendant had set up a company to “assist the family and friends of persons in custody so that mutual communication can be enhanced and (they) can know how the persons in custody are getting along in” Lai Chi Kok Reception Centre (“LCKRC”). As part of this service the company offered to make visits on behalf of prisoners’ friends and hand over daily necessities and food to persons in custody as requested. A charge was levied for the service. Staff of the Correctional Services Department (“CSD”) became aware of the service when staff members of the company were seen distributing pamphlets outside LCKRC. Next Magazine later published a news report about the service. The defendants (who worked for the company) were charged with conspiracy to defraud, convicted in the Magistracy and sentenced to varying hours of Community Service. The defendants appealed their convictions and at the Court of First Instance, the High Court Judge ordered the case to be transferred to the Court of Appeal on the ground that it involved major issues of law. 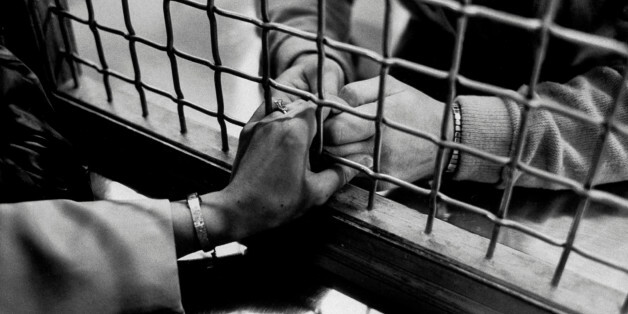 “Relatives” and “friends” is not defined in the Prisons Ordinance or in the Prison Rules. “(1) Every prisoner awaiting trial shall, subject to the order of the Superintendent [of LCKRC], be permitted to be visited by one visitor, or if the circumstances permit, by two at the same time, for a quarter of an hour on any week day, during such hour as may from time to time be appointed. At trial, it had been argued that as all the prisoners visited were remand prisoners (awaiting trial) they fell within the definition of r. 203 which imposed no restriction on visitors to “relatives” or friends” as imposed by r. 48. The Court of Appeal upheld the Magistrate’s finding that on its proper construction, the restrictions on categories of visitors in r. 48 applied to r. 203, holding that if the legislature intended “visitors” in the context of r. 203 to bear a different meaning to that in r. 48, it would have expressly said so. The Court of Appeal also upheld the Magistrate’s finding that “friends” for the purposes of the Prison Rules meant “people who know and are acquainted with one another” that is “personal friends”. The Court of Appeal further rejected arguments that r. 203 was incompatible with the Hong Kong Bill of Rights Ordinance. There had been an agreement (or conspiracy) by those in the company to misrepresent to the CSD that they were friends of the prisoners visited. By that misrepresentation the CSD officers had been induced into granting the company employees with access to LCKRC to visit the prisoners. The misrepresentation was dishonest, both objectively and subjectively. Accordingly, the charge was made out on the evidence and the appeal dismissed. The meaning of “friends” for the purposes of the Prison Rules has not been previously judicially examined. The service offered by the first defendant’s company was promoted publicly. The defendants had all carried out their visits openly, wearing green company uniforms. It appears that they may not have known that they were doing anything wrong. One of the defendants worked for the company voluntarily. The sentences imposed (Community Service Orders) may be considered lenient for convictions on conspiracy to defraud and reflect the particular circumstances of this case. Practitioners and their employees who frequently visit CSD facilities may take note of this decision and take care not to provide anything to prisoners which can only be provided by friends and relatives.